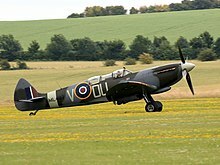 The military history of New Zealand during World War II began when New Zealand entered the Second World War by declaring war on Nazi Germany with Great Britain. The state of war with Germany was officially held to have existed since 9:30 pm on 3 September 1939 (local time), simultaneous with that of Britain, but in fact the declaration of war was not made until confirmation had been received from Britain that their ultimatum to Germany had expired. The group (led by Peter Fraser as Prime Minister Michael Savage was terminally ill) listened to the shortwave radio in Carl Berendsen's room in Parliament Buildings but were not certain what Neville Chamberlain had said because of static on the short-wave radio, and a coded telegraph message from London did not arrive until just before midnight as the messenger boy with the telegram in London took shelter because of a (false) air-raid warning. The Cabinet acted after hearing the Admiralty's notification to the fleet that war had broken out. The next day Cabinet approved nearly 30 war regulations as laid down in the War Book, and after completing the formalities with the Executive Council the Governor-General, Lord Galway, issued the Proclamation of War, backdated to 9.30 pm on 3 September. Diplomatically, New Zealand had expressed vocal opposition to fascism in Europe and also to the appeasement of Fascist dictatorships, and national sentiment for a strong show of force met with general support. Economic and defensive considerations also motivated the New Zealand involvement—reliance on Britain meant that threats to Britain became threats to New Zealand too in terms of economic and defensive ties. It is with gratitude in the past, and with confidence in the future, that we range ourselves without fear beside Britain, where she goes, we go! Where she stands, we stand! Conscription was introduced in June 1940, and volunteering for Army service ceased from 22 July 1940, although entry to the Air Force and Navy remained voluntary. Difficulties in filling the Second and Third Echelons for overseas service in 1939–1940, the Allied disasters of May 1940 and public demand led to its introduction. Four members of the cabinet including Prime Minister Peter Fraser had been imprisoned for anti-conscription activities in World War I, the Labour Party was traditionally opposed to it, and some members still demanded conscription of wealth before men. From January 1942, workers could be manpowered or directed to essential industries. Access to imports was hampered and rationing made doing some things very difficult. Fuel and rubber shortages were overcome with novel approaches. In New Zealand, industry switched from civilian needs to making war materials on a much larger scale than is commonly understood today. New Zealand and Australia supplied the bulk of foodstuffs to American forces in the South Pacific, as Reverse Lend-Lease. With earlier commitments to supply food to Britain this led to both Britain and America (MacArthur) complaining about food going to the other ally (and Britain commenting on the much more generous ration allocations for American soldiers; General Marshall admitted that the meat ration was too large, but he was not going to challenge the ration set by Congress). By 1943 there was a manpower crisis, and eventually the withdrawal of the Third Division from the Pacific. In winter 1944 the government hastened work on docks and repair facilities at Auckland and Wellington following a British request, to supplement the bases and repair yards in Australia needed for the British Pacific Fleet. During this brief campaign, the New Zealanders lost 261 men killed, 1,856 captured and 387 wounded. This allowed German troops to seize the airfield proper without opposition and take nearby positions to reinforce their hold on it. Junkers Ju 52 transport aircraft flew in ammunition and supplies, as well as the rest of the Fallschirmjäger and troops of the 5th Mountain Division. Although the landings were extremely hazardous, with the airstrip under direct British artillery fire, substantial reinforcement was made. On 21 May, the village of Maleme was attacked and captured,[clarification needed] and a counterattack was made by the 20 Battalion (with reinforcements from the Australian 2/7 Battalion), 28 (Māori) Battalion and later 21 Battalion. The attack was hampered by communications problems and although the New Zealanders made significant advances in some areas, the overall picture was one of stiff German resistance. 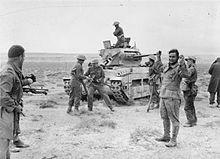 5 Brigade fell back to a new line at Platanias, leaving Maleme securely in German hands, allowing them to freely build up their force in this region. Out of the trees came [Captain] Forrester of the Buffs, clad in shorts, a long yellow army jersey reaching down almost to the bottom of the shorts, brass polished and gleaming, web belt in place and waving his revolver in his right hand [...] It was a most inspiring sight. Forrester was at the head of a crowd of disorderly Greeks, including women; one Greek had a shot gun with a serrated-edge bread knife tied on like a bayonet, others had ancient weapons—all sorts. Without hesitation this uncouth group, with Forrester right out in front, went over the top of a parapet and headlong at the crest of the hill. The [Germans] fled. When Japan entered the war in December 1941, the New Zealand Government raised another expeditionary force, known as the 2nd N.Z.E.F. In the Pacific, or 2nd N.Z.E.F. (I.P. ), for service with the Allied Pacific Ocean Areas command. This force supplemented existing garrison troops in the South Pacific. The main fighting formation of the 2nd N.Z.E.F. (I.P.) comprised the New Zealand 3rd Division. 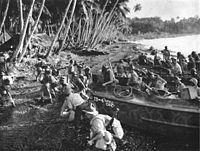 However, the 3rd Division never fought as a complete formation; its component brigades became involved in semi-independent actions as part of the Allied forces in the Solomons at Vella Lavella), Treasury Islands and Green Island. The War Cabinet had held the division at two rather than three brigades, and this limited its use, although MacArthur had a role for a full division; Halsey was "greatly disappointed that New Zealand could not furnish a division with three full brigades" but his deputy accepted that the division was last in New Zealand's Pacific priorities, after the air force, navy and food production. Preference was given to the Second Division, on the advice of Churchill and Roosevelt. However New Zealand also had 19,000 troops in New Caledonia, Tonga, Norfolk Island and Fiji in 1943; and the 3000 Air Force personnel would rise to 6000 when more planes were available. In Australia the reaction of Curtin (but not Evatt) to the withdrawal of the Third Division was hostile. Eventually, American formations replaced the New Zealand army units in the Pacific, which released personnel for service with the 2nd Division in Italy, or to cover shortages in the civilian labour-force. New Zealand Air Force squadrons and Navy units continued to contribute to the Allied island-hopping campaign, with several RNZAF squadrons supporting Australian ground troops on Bougainville. In 1945 Peter Fraser wanted to contribute to a Commonwealth force against Japan, including an army contribution of at least two brigade groups as "from previous experience small units are given the harder jobs or are not properly supported". But during the Hamilton by-election, 1945, National had campaigned on withdrawing New Zealand troops from Italy and restricting New Zealand's role in the Pacific War to food supply, though Labour wanted to keep New Zealand troops in the Pacific to "have a say" in the peace. So Fraser met the Opposition leaders Sidney Holland and Adam Hamilton before the Dunedin North by-election, 1945, noting the divisions in his own caucus. Holland agreed with Fraser not to refer to the matter (which was agitating the whole country) during the by-election campaign, saying it would not be right to divide the House on this. In a (non-broadcast) semi-secret section on 2 August the House agreed to participate in a force against Japan "within the capacity of our remaining resources of manpower". And National's proposal to reduce the total armed forces to 55,000 was accepted. 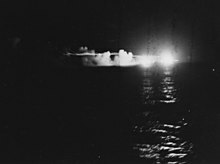 HMNZS Leander fires on the Japanese cruiser Jintsu. New Zealand had a "Combined Intelligence Centre" in Wellington. In 1942 papers from the centre to the C-in-C, Eastern Fleet in Colombo and the RN signals intelligence at Anderson outside Colombo were captured on the Australian steamer Nankin when she was intercepted in the Indian Ocean by the German raider Thor. In the 1930s the New Zealand Division of the Royal Navy established a chain of radio direction finding (D/F) stations from Awarua in the far south, Musick Point near Auckland, Waipapakauri in the far north and Suva, Fiji. There were radio intercept stations at Awarua, Suva, Nairnville in Khandallah near Wellington, and from 1943 HMNZS Irirangi at Waiouru. Transmissions were sent to the Far East Combined Bureau via the Navy Office in Wellington. New Zealand’s network of radio intercept and D/F stations sent its material to Central Bureau in Brisbane despite its main area of responsibility being outside the SWPA. The network was supplemented in 1943 by a Radio Finger-Printing (RFP) organisation "manned" by local WRENS. These were valuable for identifying Japanese submarines, and RFP alerted the minesweepers HMNZS Kiwi and HMNZS Moa, who attacked and rammed the Japanese submarine I-1 running supplies to Guadalcanal on 29 January 1943. In 1943 the New Zealand (naval) operation was run by a Lieutenant Philpott assisted by Professor Campbell (Professor of Mathematics at Victoria University of Wellington) plus a part-time civilian Japanese interpreter and two women assistants both of whom were of above average ability and one of whom knew quite a bit of Japanese. It was said to be remarkably productive despite its small size and apparent lack of assistance or direction from FRUMEL in Melbourne (where Rudi Fabian was reluctant to cooperate with the Royal Navy or the US Army's Central Bureau). ^ Hensley 2009, pp. 20,21. ^ war "Proclamation on 4 September" Check |url= value (help). Auckland Star/Papers Past. 4 September 1939. ^ "Fighting for Britain - Second World War - overview | NZHistory, New Zealand history online". www.nzhistory.net.nz. Retrieved 4 June 2016. ^ Hensley 2009, pp. 21,22. ^ Hensley 2009, p. 248. ^ Hensley 2009, p. 254. ^ McClymont 1959, p. 487. ^ "The Canea-Galatas Front - NZETC". ^ Crawford 2000, pp. 140–162. ^ Hensley 2009, pp. 234,254. ^ Hensley 2009, p. 235,237. ^ Crawford 2000, p. 157. ^ Bradley 2012, p. 395. ^ Hensley, Gerald (2009). Beyond the Battlefield: New Zealand and its allies 1939-45. Auckland: Penguin/Viking. p. 372. ISBN 9780670074044. ^ Jenkins 1992, pp. 147,148. ^ Jenkins 1992, pp. 164,165. ^ Elphick 1998, p. 262. ^ Bou 2012, p. 115. ^ Bou 2012, p. 18. ^ Bou 2012, p. 48. ^ Elphick 1998, p. 387. ^ Smith 2000, p. 198. ^ Leech, Thomas D.J (18 December 1950). Project Seal: the generation of waves by means of explosives. Wellington, N.Z. : Department of Scientific and Industrial Research. OCLC 31071831.